The NSW Guild of Craft Bookbinders had its genesis in a three-hour weekly hobby course known as ‘Bookbinding for Table Hands’, which was conducted in the School of Graphic Arts Building at the Sydney Technical College. Ralph Lewis, one of the members of the 1979 class, a quiet but determined man, envisioned the formation of an organization for amateur binders with their own workshop where they could practise their craft. Ralph’s aim was to give people who love books a creative activity, and to try to preserve and foster interest in manual binding skills. As a result of Ralph’s work the NSW Guild of Craft Bookbinders had its inaugural meeting on 1 November 1979 at the University of Sydney’s Fisher Library. The attendance of thirty-three individuals at this meeting demonstrated that there were enough people sufficiently interested in the craft, at least in Sydney, to justify the formation of a binding association. Ralph Lewis had a valuable ally in Keith Turnell, the Head Teacher of Binding and Finishing at the College. It was Keith who found the Guild its first home. This was, for the first three years of its life, in the Technical College itself. 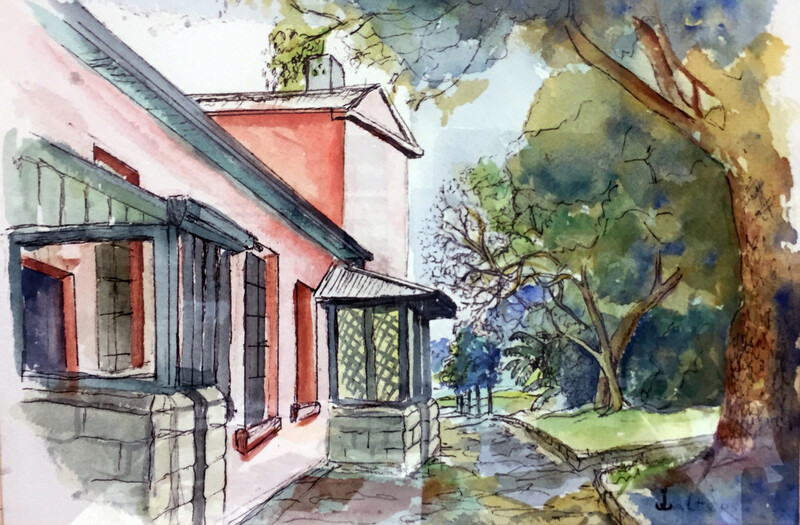 After six years at the Glebe premises of the Sydney College of the Arts, the Guild found its present home in historic Garry Owen House, built in 1840, and located in the beautiful grounds of Callan Park. The Guild is a not for profit organisation and was incorporated in 1991. The Bindery is outfitted to a professional standard for the use of its members. For a small usage fee the workshop provides members with bench space, tools and equipment which they would not normally have access to. The equipment comprises book presses, gold blocking machines, lettering type, guillotines and other specialist items, including a fine collection of some 400 finishing tools acquired from the now defunct Canisius College bindery. Some of these tools can be dated back to the early years of the nineteenth century. Materials, such as papers, bookcloth and adhesives are stocked and sold to members. Attendance at the Bindery also allows members to have contact with, and receive advice from other bookbinders and the experienced monitors on duty.